ROBERT L. CHURCHILL, P.E., P.P., C.M.E. Rob Churchill, PE, PP is President and owner of Churchill Consulting Engineers, overseeing all company operations since 1996. 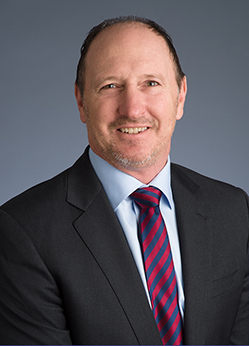 Under his leadership the company has grown substantially and the firm’s design and construction management services have expanded to include large scale infrastructure projects throughout New Jersey and the middle-Atlantic region with construction costs in excess of $100 million. Mr. Churchill has over 30 years of experience and serves as Principal-in-Charge and QA/QC Manager for many roadway design and construction projects throughout NJ, including the New Jersey Turnpike Authority’s limited access highways and the NJDOT’s state highway network, as well as for various county and local highway projects. His project experience includes the planning and design of various municipal and county public works facilities, including bridges, roadways, parks and recreational areas, drainage and stormwater management. Mr. Churchill has a Bachelor of Science in Civil Engineering from the University of Vermont and has taken courses in Urban Systems and Structural Design at Drexel University. He is a licensed Professional Engineer and Professional Planner in New Jersey, and a certified Municipal Engineer. The firm is a member of the ACEC/NJ where Rob serves on the small firms subcommittee.